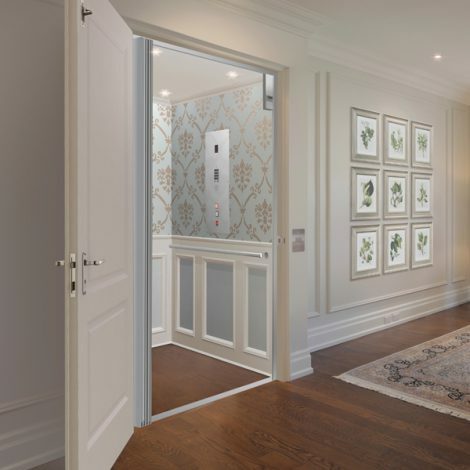 The Symbio lift is an ideal choice for people in larger homes desiring quality, efficiency, and durability. 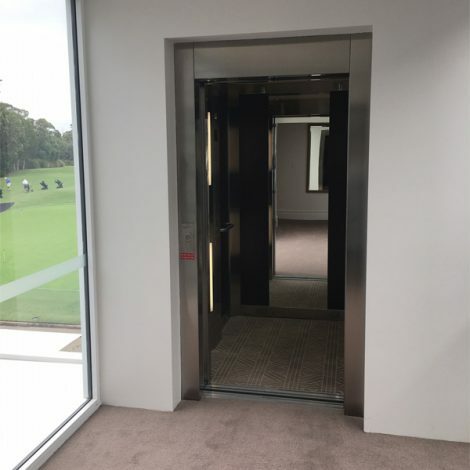 The Symbio is an environmentally-friendly machine-room less lift that can travel up to 25 metres and carry up to 3000kg. 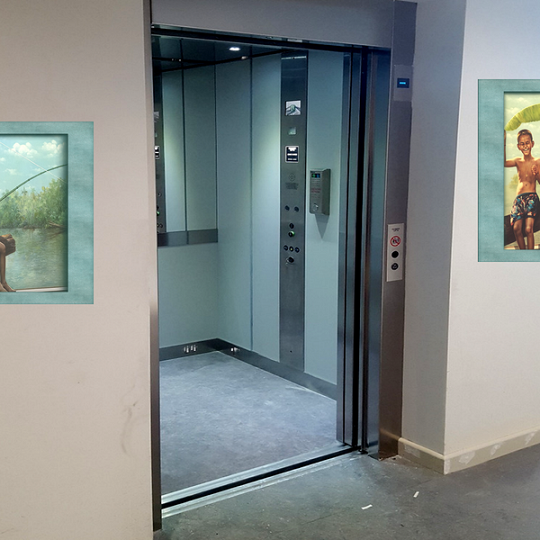 A lift should complement your home and be an eye-catching feature, not an eyesore or something that interrupts the flow of your space. 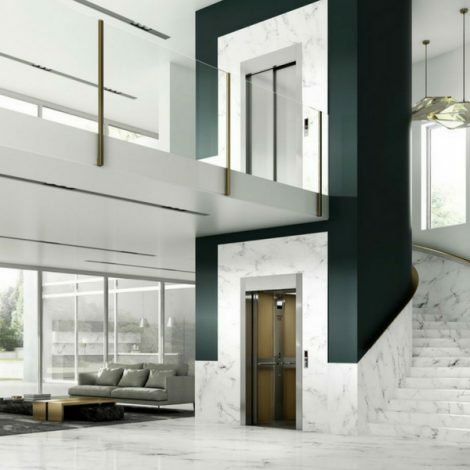 The Symbio lift is a contemporary and modern lift that can be fully customised to your personal taste and look of your home, with a wide range of finishes and optional features for you to choose from. Travel from one level to the next in your home with the groceries, rubbish, the dog, a pram, and the laundry all in one go and you’ll still have room to move in the Symbio. The Symbio offers a roomier cabin for total comfort. 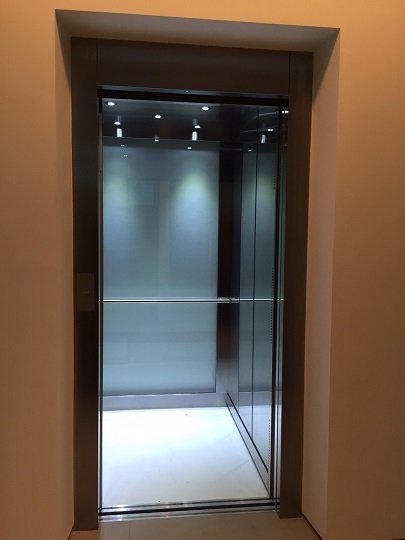 The larger floor space and 3000kg weight capacity makes it an ideal lift for homes with multiple wheelchair users. The Symbio lift’s portico frame features 2:1 suspension, guaranteeing safe and comfortable travel. Who wants a noisy machine in the middle of their home? The Symbio is gearless, meaning it does not produce noise pollution or vibrations, and it has a long-lasting life cycle. More and more, people are looking to incorporate the most energy efficient solutions into their home. The Symbio lift consumes very little power compared to many of its competitors. 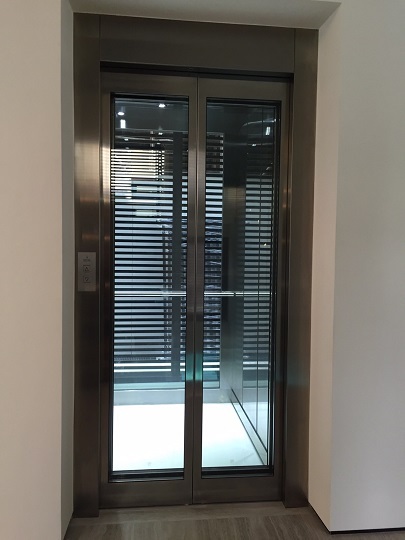 The Symbio lift can be installed in either residential or commercial environments. If you’re interested in the Symbio for a commercial project, click here. 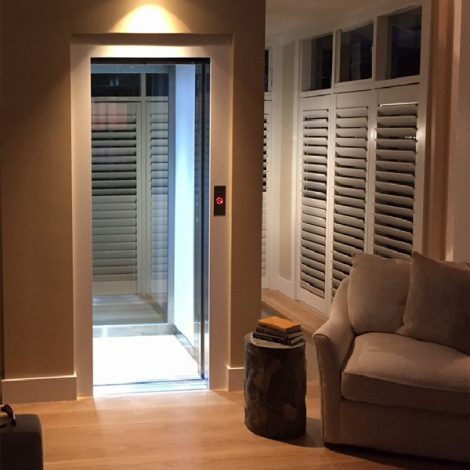 The Symbio lift has been extensively studied and safety tested by expert lift engineers, so you and your family and friends can travel in your home with total peace of mind. Is the Symbio lift not quite right for your needs? Every person we dealt with from PR King was reliable, thoughtful and courteous; we thought the price was very fair and your attention to us, while we were deciding on the purchase was remarkable and very helpful.